Magha Shraddha is done during Pitru Paksha when Magha Nakshatra prevails during Aparahna Kala. If Magha Nakshatra prevails partially during Aparahna Kala on two days then the day when it prevails for longer duration it considered. If both Magha Nakshatra and Trayodashi Tithi prevail during Aparahna on the same day then it is known as Magha Trayodashi Shraddha. Nakshatra Magha is significant during Pitru Paksha because it is ruled by Pitrs, the spirits of the departed ancestors. Pitru Paksha Shraddhas are Parvan Shraddhas and auspicious time to perform them is either Kutup Muhurat and Rohina etc. Muhurat after that till Aparahna Kala gets over. Tarpan is done at the end of the Shraddha. Trayodashi Shraddha Tithi is also suitable to perform Shraddha for dead children. This Shraddha Tithi is also known as Kakbali and Balabholani Teras in Gujarat. Trayodashi Shraddha is also known as Teras Shraddha. Pradosh Vrat is observed to seek blessings of Lord Shiva. Pradosh Vrat is observed on both Trayodashi Tithis, i.e. Shukla Paksha Trayodashi and Krishna Paksha Trayodashi, in lunar month. Some people distinguish between Shukla and Krishna Paksha Pradosham. 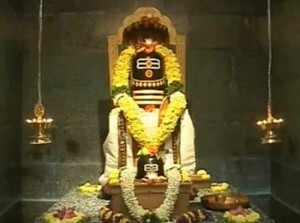 When Pradosham day falls on Monday it is called Soma Pradosham, on Tuesday it is called Bhauma Pradosham and on Saturday it is called as Shani Pradosham.For Pradosham Vrat, day is fixed when Trayodashi Tithi falls during Pradosh Kaal which starts after Sunset. The time window after Sunset when Trayodashi Tithi and Pradosh time overlaps is auspicious for Shiva Puja. DrikPanchang.com lists this time for all Pradosham and this time should be preferred for doing Shiva Puja.